Maybe we slay dragons and ride unicorns in our free time, or are absolute MVPs in arenas, battlegrounds and fast-paced shooters in general. Or maybe we enjoy a good story, and like having games solicit an emotional reaction from us. But one thing is for sure, one does not simply hear:”I’ve been an adventurer like you…”, for the 9999th time in low-quality audio. And we do want that thick bass when we ‘Fus-Ro-Dah’ our virtual foes over the cliffs. We want so, but on a budget. Therefore we bring you the best PS4 headsets under $100. Untrue, and we are about to prove it. Because we appreciate comfort above everything else. Leatherette memory foam ear cups ensure that lengthy gaming hours are absolutely discomfort-free. And nothing puts our ears at ease more than an added extra pair of velour ones, as well. Did we mention that these ear cups are noise-isolating, and that the microphone is detachable? Mhm. Black, white and silver. Because looks matter. Jolly good stereo sound with 53mm drivers and 15-20kHz frequency response range. Compatibility is also a great thing, and these can work on various other devices. PCs, notebooks, tablets, mobile phones, just to name a few. Two-year warranty, free tech support and a carrying case. Awesome bundle, isn’t it? Simplistic yet stylish design. For those of us who tend to dislike over-the-top, space-looking shenanigans, this sleek-looking headset is the real deal. What we dislike about this product? Unlike the majority of products on the market, these have no active noise-cancellation features. But the ear cups are doing a mighty fine job as it is. Customers compliment a range of features on this one. Comfort is in high regard, but also the sound quality and quality of make. Customer service is efficient and great. Compatibility furthers the enjoyment of gaming and listening to music, with sustained amount of high sound detail. Satisfaction is high when a new headset makes a person question how in the world have they tolerated their previous gadget. Some might worry about the ‘no active noise-cancellation’, but those worries often get dispersed quite quickly and easily. It’s all about the experience, and the 360 degree field of hearing does ‘sound’ tempting. Lightweight equals comfort. Slap on a pair of soft sport cloth ear cups, make them with 90-degree swivel, and we have serious challenger. Folding and noise-cancelling mic. Background noise will be cleared up which ensures clear voice pick up. Volume dial and mute switch can be reached quickly, as the controls are on-cable. PS4 aside, it works well with Windows 10, Windows 8, Windows 7 or Windows Vista PCs. Surround sound. Perfect for survival and horror games. It should be noted that the User Guide is there for a reason. Before use and for the best setup, it should be referred to. User satisfaction is significant because the surround sound delivers on its promise, if not even more. It will ‘up’ the game experience and immersion. 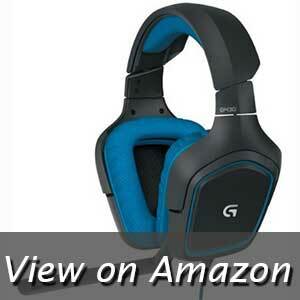 Logitech Gaming Software is a must, in order to draw out the full, desired potential. Gamers do have long sitting hours, but are not trees. Meaning that we don’t grow roots and do like to move around. Heck, even Groot moves around. Compatibility with mobile devices would’ve been a huge upgrade. Sensitivity, yet clarity. Soft, but durable. Sades made sure that this headset is a convenient fit for everyone. How? All contact points were made and finished with soft materials and updated memory foam. This headset will grasp firmly, yet remain comfortable. Like a true crown, fit for a gaming king. 50mm magnetic neodymium driver coupled with precise acoustic positioning is certain to put us right at the center of the action. We also hear that there is a great number of choices in the horror genre of games, perfect for testing this out. Sturdy and durable yet highly sensitive microphone. How come? It is well grounded which removes any possibilities of crackling during settings and adjustments. Cord that boasts with 2 meters of length grants us the opportunity to move back our already glued faces from the screen. Greater freedom of movement, but more importantly, greater safety for our eyes. PS4 of course, but this neat little thing comes with nice multi-platform compatibility. Xbox, Nintendo, PSP, PCs, laptops, tablets, phones… etc. Sensitivity and clarity are all nice, sure, but precise acoustic positioning is simply put – awesome! For how light they are, they do seem quite tight. While that is supposed to offer superior comfort, it might not feel ‘just right’ for some users. The majority of customers keep coming back to Sades, knowing that Sades will have quality merchandise on offer. Top tier sound and mic quality packed within a build that’s made to last. Great customer support is included, too! A minority of users have experienced issues with echo, but there’s an easy fix. And the manufacturer will also step in to help. 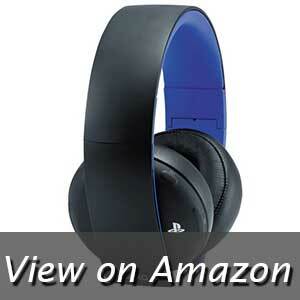 Sony is well known for quality goods and headsets are not an exception. And immersion isn’t only game related. PS Gold and PS4 just might be a dreamy couple. Be it explosions, footsteps or whispers nothing will remain unheard. 7.1 virtual surround sound makes certain of it. Exclusive custom game modes for PlayStation, available with the Headset Companion App, specifically tuned to enhance the in-game audio. Comfortable, with a modernistic style that can be customized and personalized. Just swap the faceplates! Compatible with just about anything that accepts wireless connections. Should the need arise for a wired connection, there is always that trusty 3.5mm audio cable to save the day. Not everybody enjoys having a mic, no matter how adjustable, sticking ‘out of their ears’. Having a hidden mic offers greater freedom for some, with unyielding quality. As it is with all wireless headsets, battery life is something that can always be improved. But those who are meticulous about their gadgets should have no problem keeping an eye on that battery charge. You can probably play games with your eyes closed. (Although this is not a suggested course of action.) Play with the settings to get the most out of them, ie. to get exactly the desired effect. Users are generally worried about providing that extra care, but that doesn’t include taking the headset out on dates, movies and dinners. Not throwing them around should do the trick. Because sometimes we want to feel like flying a mad spaceship. Let’s call it ‘immersive reality’. The so called ‘Humanized Design’ spawned into existence in accordance with the human body engineering specifications. That should allow for superior comfortability, heat reduction, sweat reduction and even benefit for the hearing impaired. Long and flexible noise-isolating and noise-cancelling mic. Will it sound too futuristic if we add that it is omni-directional as well? That makes for very convenient adjustments, tho’. Surrounding stereo sub-woofer will provide that sweet bass, while the ambient noise isolation will make sure that the immersion stays absolutely intact. 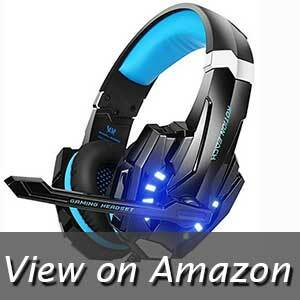 It is perfect for fast paced action games. Splendid futuristic design is further augmented with LED lights, not too bright, not too dim, just right for the atmosphere of the game. Compatibility is not an issue with this beast as it supports PS4, Xbox One, PC, Nintendo 3DS, and even mobile devices such as phones, tablets, iPads and PSPs. Convenient ‘non-overboard’ futuristic design that provides aid for the hearing impaired. Should we decide to connect it to something other than the aforementioned things, like an older version of the Xbox One controller, we would require an additional Microsoft Adapter. Simply stunned, at first, by the appearance which does vouch for a great first impression. This headset delivers more than immersion. Well-defined sound with great isolation that literally gives an ‘edge’ or maybe even an ‘unfair advantage’ in gaming against others. And the volume controls are easily accessible, so even mid-game, settings are not a problem. It should be mentioned that the aforementioned adapter is not included with the package. The USB and 3.5mm jack stem from the same cable line, meaning that an external power source will be required, a small power stick. Not every headset out there takes into consideration one very important thing. And that is that some of us do wear glasses, even if just to protect our sight. Stealth 600 comes equipped with a lot of glass-friendliness. Comfort, but this time, glasses friendly comfort. Ear cups are wrapped in breathable mesh fabric and are also rocking a feature Turtle Beach’s ProSpecs glasses friendly design. What does that mean? No more pressure on your glasses, no more discomfort. 110% wireless, as the included wireless USB adapter uses Smart channel-hopping tech. Bigger speakers deliver ‘bigger’ audio, usually of the higher quality. And we are talking about 50mm speakers here. Superman, Spider-Man, Aqua Man, Wonder Woman, or just about any hero out there had that super something. (Except Batman.) Super hearing or rather, superhuman hearing is what we mostly appreciate with this product. Wireless, again, means battery. Watch that charge because that’s about the only thing that can break our best ‘kingdom saving’, dragon slaying, or kill-streak records. The mic is loud and clear. So are the speakers. (So be careful with your settings.) And the ‘ProSpecs Design’ works miracles. No more head rubbing! But that ‘flip to mute’ mic can be an issue. Those who mute often throughout a gaming session should be a bit more careful with the pressure and force they apply. Everybody enjoys big, powerful, yet clear speakers, no? Another one in the line of carefully crafted products of ‘humanized design’. Vouches for great comfort during those long gaming sessions. High-precision 50mm speakers with crystal clarity, with 3D stereo sound field will most certainly motivate even the casual gamers. There’s just something about that sound which arouses passion within ones soul. Be it in-game or simple online chat, omnidirectional noise reduction tech prevents any distortion while transmitting your voice. LED lights only add up to the aesthetic value of this futuristic-designed headset. They will capitalize on the atmosphere of the game. What else do we get? VersionTech seems to value their customers, so the package includes one gaming headset, one packaged gift box, one user manual with their ‘12 months worry-free product guarantee’. Friendly customer support included. As for the compatibility, we can simply say ‘universal’. These support PS4, PS4 Pro/Slim, Xbox One, Xbox One S/X, PC, Nintendo Switch/ RDS, PSP, Laptops, and mobile devices such as tablets, iPads and mobile phones. Futuristic design is great, if executed well and this one in particular manages to keep that slick look with ‘Master Chief’ elements. That new and modern gadgets such as this require an additional adapter in order to connect with an older versions of certain controllers. Most compliments go towards the sound quality, yet the microphone is a strong contender as well. All with an easy to reach and use control knob right on the long, braided cord. The lights are optional as well, which might suit the more modest among us. The only real concern with this pair is that a separate power supply is needed in order to power the lights. Problem? Not really, but quite tedious. Cushions that we mentioned are of oval design and made for full-ear coverage. With Razer, both comfort and quality have always been a thing, and with our ears neatly tucked in, we can be sure not to expect any kind of discomfort. Even if the raid drags on, and there’s only one boss left at 5 am. For these impressive drivers clear highs and deep thick lows are not a problem. Experiencing loud bangs with full immersion or raising our guard at the slightest hint of shady footsteps behind us – check! The microphone is fully retractable, so it won’t be in the way when not needed. But when communication becomes vital, it is always there to deliver. It’s not just the controller or mouse and keyboard that make a great warrior. The art of listening carefully and the sound is what makes a real pro. 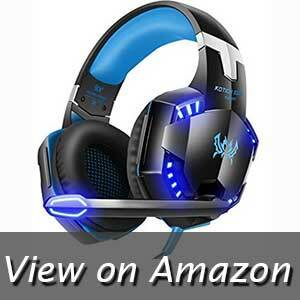 These are compatible only with PS4, Xbox One and PCs. Which means that we won’t be able to take them anywhere else. The undisputed winner of this battle of features is most definitely comfort. Second runner is the sound quality as this headset seems to deliver far more than what it promises. For those on the move, compatibility could be an issue. And it might not cater to those who enjoy having light shows during their gaming sessions. Due to compatibility limitations, we cannot take our sound with us. Some of the more complex LED schemes cannot be used through Razer Synapse, due to having a smaller amount of LED lights. Other than having a cool name, this pair is another gem showing us that studio-quality does not need to come with a hefty price tag. AirWeave ear cups are inspired by athletic performance. Firm yet gentle grasp guarantees max comfort. Did we mention that they come with a detachable USB sound card with ChatMix. Why is this important? Well, it allows us to find that perfect balance between game and chat volume ‘on the fly’. These award – winning, stylish headsets come in black, white, boreal blue, slate gray and solar red colors. True variety of choices to suit just about any taste. RGB illuminated as well! PS4 compatibility goes without saying but these won’t fail to deliver even on Xbox One consoles, PCs, VRs, Switch and mobile devices too! True studio-quality sound that goes for both headphones and microphone. 7.1 surround sound availability is currently only limited to PC platforms. Minimalist and clean feel makes this headset rank high, made with the professional gamer in mind. 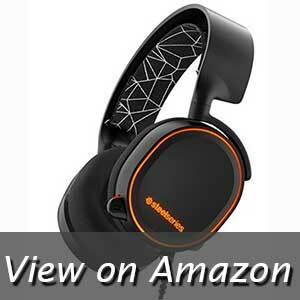 The sound quality is fantastic, whether it is gaming or listening to music. While the vast majority of gamers is absolutely satisfied with stereo, PS4 gamers looking to get into surround sound might be disappointed with this particular set. Simple. Because it was designed mainly for PS4 players. 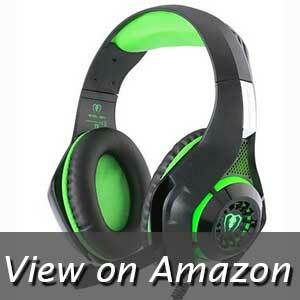 With thick padding even on the top, this lightweight headset is super comfy. Definitely a suitable option because we want to forget that we’re wearing a huge lump of plastic, metal and whatnot. High – precision magnetic drivers will provide that extra ‘oomph’ that puts us right in the middle of our games. Soft braided cord that’s over 7 feet long gives us that much needed freedom of movement, and we don’t have to sit right in front of our TVs or monitors. Black-red, black-blue, red, blue or green. LEDs included. What’s your top pick? Turning the mic on/off or the volume up and down is easy, with a tiny controller that sits right on the cord. Easy to reach and easy to manage. Even though it was mainly crafted to suit the needs of PS4 players, this set offers great versatility as it will also work on PCs, Laptops, iMacs, PSPs and other various portable devices. Take your sound with you! Gamers like us appreciate and value stuff made to suit our needs. A detachable mic would’ve made for a mighty addition. Not too heavy and not too light. Which is great, because nobody really likes flimsy items. This solid build reaches out to the extendable mic as well, and we all know that ‘fear’ of something that feels like it’s just going to snap. Well, not on this bad boy. No static or distortion makes for a crystal clear sound in both receiving the audio or voice transmission. And the noise cancellation works just great. Awesome customer support included. Oh, if only that mic could be detached. Even a retractable one would do! 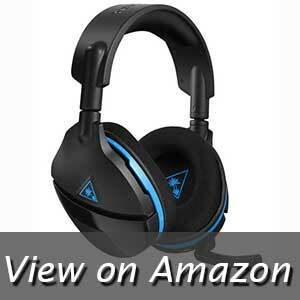 How to choose your best PS4 headset, under $100? 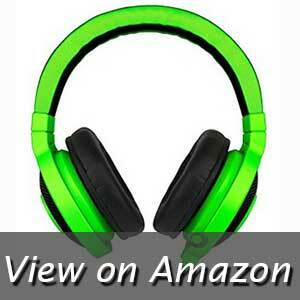 Buying headphones or headsets is an investment of sorts and should be treated as such. We don’t want them falling apart after a couple of months of use, right? There is good and bad plastic, PVC, metal and all sorts of different materials in use. What are they made of usually decides on their sturdiness, and a good pair of headphones/headset should last for a couple of years at least. 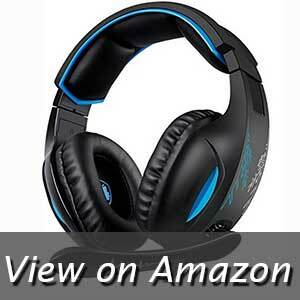 Noise-isolation, noise-cancellation, open back, closed back, materials used, technology… etc. It all comes together and makes a difference in our experience. Are they wired or wireless? If wireless, battery life becomes an important aspect to keep an eye on. They also work on Bluetooth. Is it 3.0 or 4.0? Both wired and wireless can come with virtual 7.1 surround sound feature. As for the tech in general, what about the compatibility? We are gamers, but that doesn’t mean we’re attached or bound to our PlayStations. Often we relax by listening to other sweet sounds of our favorite artists. We might own another console, might use our PCs for work, and a trusty phone is always with us no matter where we are. A gadget being compatible with other devices might not mean a thing for someone, but is a crucial factor for another. We might want to take our work or entertainment elsewhere. So what of it? Well, a gadget with a lot of compatibility is not a ‘jack-of-all-trades’. It only means we get more bang for our buck. Technology and gadgets in general are loved by everyone. Useful, and nowadays, not even that expensive. And there’s always something new to try out. That doesn’t mean it cannot fail us when we least expect it. That makes customer support an important topic to research. Because things break, no matter how good, bad, expensive or inexpensive they might be or which brand is stamped on them. Sometimes they somehow manage to break by themselves. And when we make that call, we want to hear a warm, welcoming voice asking us about our problem. Not only that, we also expect action being taken in order to remedy the issue we are experiencing. This breeds trust and loyalty. The manufacturer will be sure to have a satisfied customer and we will always come back to try out something new. After we’ve narrowed down our list of possible choices with specs that we actually want and need, we can discuss the overall design and style. Some headsets come with outright outrageous looks, while others are sleek and conventional, almost ‘reserved’. Do we want something that looks like it was developed by NASA and can light an airport? Or a conservative look might fit us better. And some of us do enjoy gaming with dim lights. ‘One size fits all’ doesn’t exist, and out there is that ‘special something’ for everyone. What is the point of getting a headset? What kind of entertainment environment am I thinking of? 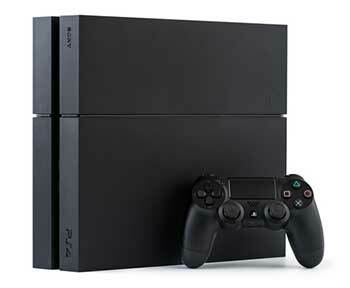 The vast majority of people associate PlayStation with games, as it is a gaming console and a gaming platform. This alone tells us that we won’t be watching too many movies or sampling music. And to get even more specific, let’s get down to the next question. What will I play most of the time? Let’s think. Think hard about what kinds of games will be mostly played. Single or multiplayer? Action, adventures, RPGs, dungeon crawlers, horror, survival? This way we can figure out our exact needs and more easily find what we are looking for in a headset. What do you like to play? No-mic would mean just getting headphones, but still it is a valid question. The answer is similar to the one above. Movies and music do not require a mic. And a great number of games as well. If it is single player only, there would be no need. But nowadays, games are implementing VoIP, or Voice-over-IP. Meaning that we have an ability to talk in-game as well. Isn’t that awesome? Organizing player tactics is way easier when talking to friends in real-time. If nothing else, just having a casual chat is also cool. Now this is a tough one. Some prefer the ‘traditional’ wired, while others boldly venture into new technologies. The biggest issue with wireless headsets is the battery life and signal strength. And of course, wireless are a bit more costly than their wired counterpart. While cords may feel ‘restrictive’, for some that very same feeling might come from having to charge their batteries every day. While quality levels differ from brand to brand, in the end, for the time being, this one comes down largely to personal preference. What do you think is more restrictive? Generally, the more padding there is, the better. But what kind of padding is it? How is it designed? What kinds of materials are being used? We would love to avoid having sore ears after a mere hour of playing, and we strongly dislike hot or even wet ears. Ear pads should be well designed but not all are made the same. Just like our heads and ears. And headsets should sit well on our heads, firmly but not too tight. How durable, with sustained quality? It was mentioned already that a good headset (or a pair of headphones) should last for at least a couple of years. That requires a sturdy build of all of its components. That means the case, inner components, its mic and the cable (if wired). Taking good care of our gadgets can be a tedious task reserved only for the meticulous. But in reality, it isn’t that hard. Cleaning on a regular basis can do wonders, as well as managing the cord (if wired), and all other jacks and plugs. Nobody really pulls on their headset, and it is also not advisable to throw it around or play football with it. But what is advisable is to neatly pack it up after use, and safely store away. What is the best gaming headset for me? One that makes you appreciate sounds in your games more. Take all of the aforementioned factors into consideration when deciding on your purchase. These most definitely are some of the best PS4 headsets, under $100 mark. Which means that one doesn’t have to spend ‘an arm and a leg’ to get a high quality item. It is simply a matter of knowing what to look for. With that said, thinking about the type of entertainment is the most influential factor. 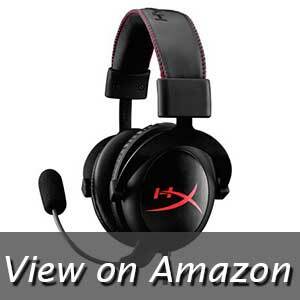 And as we primarily love games, our choice would be the Kingston HyperX Cloud Gaming Headset.